Great news for creative folks everywhere: Cape Town has been chosen as the World Design Capital for 2014. Arguably even better than this news is that Paperight has been chosen as an official WDCCT project. Along with this honour, we’ve been featured in their promotional output for this momentous year and we’ve been given access to various media channels through the project for pertinent news from our camp. In the spirit of the project, Tarryn had the brilliant idea to launch a cover art design competition. 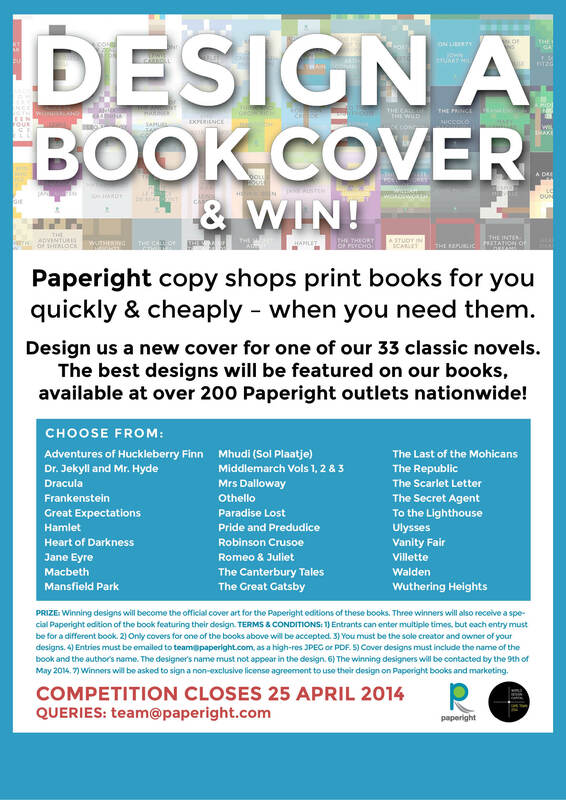 We selected a shortlist of thirty-three classic literature novels, available through Paperight, for creative types to play around with. These covers have been done hundreds of times already and we thought the challenge to come up with something new would be particularly appealing. The competition is still open for entries until the 25th of April 2014. Once we’ve received everything, we’ll select our favourite designs – hopefully one for each book title requested. The successful entrants will then be honoured by having their names appear on the imprint page, as the cover design artist of that book. Our top three favourite designers will be awarded a Paperight edition of the book featuring their design, in addition to having their name featured in all copies of the book. We wish we could give more, but as a small start up, we simply don’t have the resources. The competition has been open to all South Africans, but we’ve chosen to promote it mainly in Cape Town and specifically to design colleges and universities across the mother city to give young artists an opportunity to test their mettle. This competition has also served as another opportunity to reach students about what Paperight does and particularly, as an opening to discover the #textbookrevolution by association. We put posters up on UCT and Stellenbosch University campuses, and emailed digital copies to fifteen art/design/advertising colleges and university departments around Cape Town. Our most impressive response has been that both Red and Yellow School of Magic and the Visual Arts department at Stellenbosch University chose to include the competition in their curriculum for the first semester. 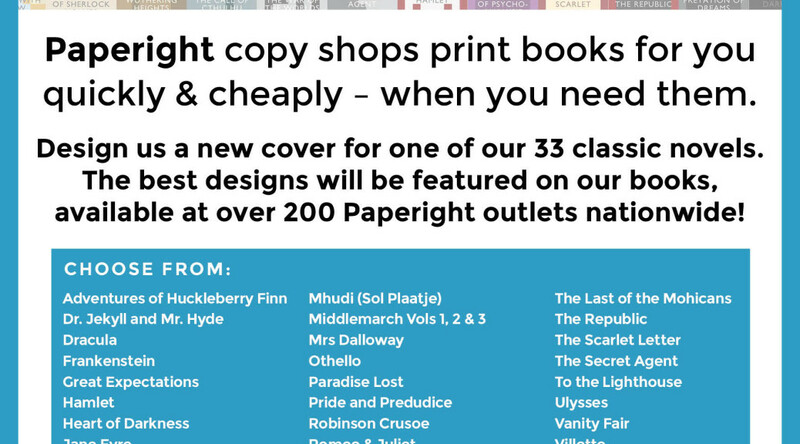 The competition posters were designed by Nick and we made six variations to highlight different Cape Town based Paperight registered copy shops. We chose not to agonise over the competition Terms and Conditions simply because we didn’t want to end up confusing anyone. Complicated Ts&Cs can put people off from entering altogether – what’s the point of that? Once we’ve deliberated on the entries and chosen winners, I will write an updated post about the results. We’ve already received some wonderful stuff and it may be difficult to choose in the end. 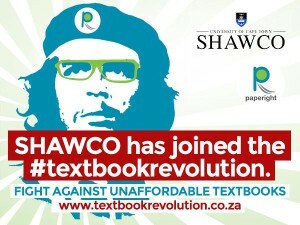 The #textbookrevolution Campaign: hold on to your seats for this one! The #textbookrevolution has been our most ambitious campaign thus far, mostly in terms of scale and coordination. 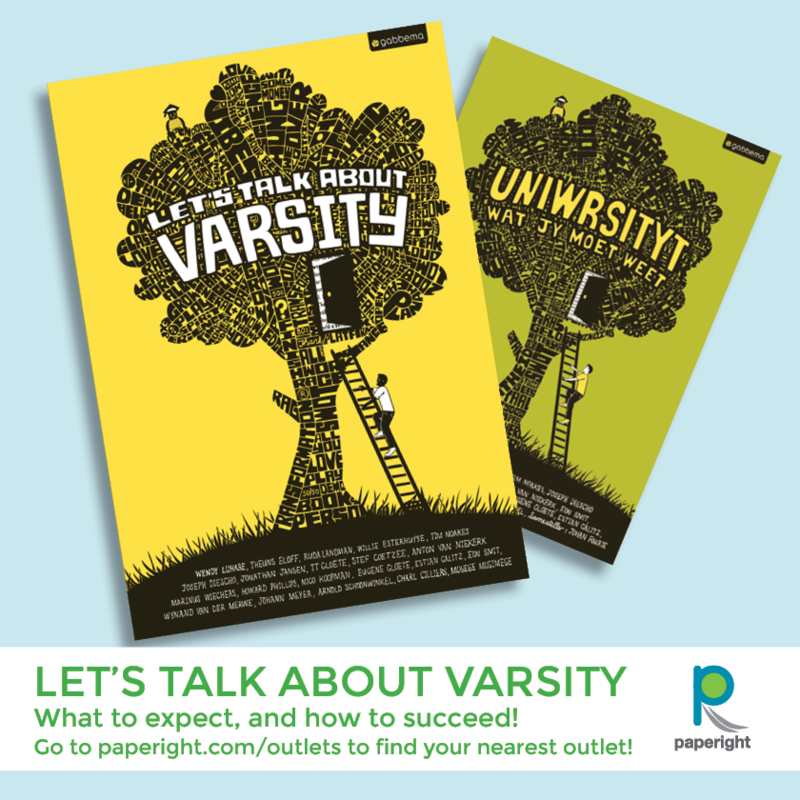 It was formulated as a means to get Paperight onto university campuses and to ultimately increase Paperight’s available catalogue to suit students’ needs. By invoking the call for a revolution, we hoped to get students involved in applying pressure to publishers to work with Paperight, or to at least get publishers to commit to making arrangements for students to get their essential textbooks timeously and at an affordable cost. 1) Textbooks are cheaper through Paperight outlets. This was our less important sales message that was aimed at specific departments that we had prescribed or related books for. 2) Hate overpriced textbooks? 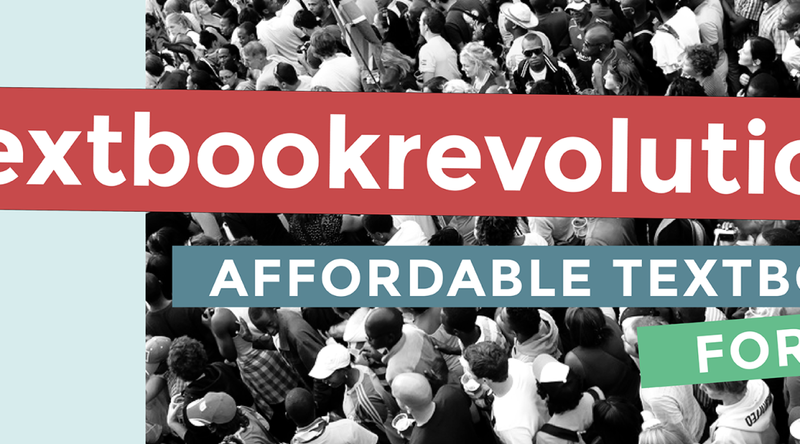 Speak up to join the #textbookrevolution. This required students to speak out about using a service like Paperight to increase access to affordable textbooks. This was meant to put pressure on publishers to make more of their core textbooks available on Paperight. Overall, this has been the most successful sustained marketing effort in the history of Paperight. We demonstrated our rebellious and youthful brand image and we have been overwhelmed by the reactions it brought back. We can safely say that we are known by scores more South African varsity students, lecturers and administrative staff than we were before and we have planted the significant seed of change. We now have a comprehensive contact list for individuals to approach to take this campaign further and meetings will be made easier by the increased knowledge of what we’re about. We did not intend for sales of current titles to be our main message simply because of our limited catalogue for varsity students. That being said, our paid adverts in student magazines highlighted products that students might need, as well as products that would be of interest to the broader community to whom the magazines are sold. c) the return of customers from the previous year (as well as their referrals to friends). We had three positive responses from student media outlets. Both Rhodes Music Radio and UJfm scheduled interviews with Arthur to discuss the campaign. Then Perdeby, the Tuks student newspaper, promoted the #textbookrevolution and our second live Twitter debate through their Twitter account which led to a lively, healthy discussion. Recently, we have also been featured by the Varsity newspaper (UCT) in an opinion piece. Despite being a lazy, inaccurate description of the campaign, it has raised the visibility of the campaign on campus even further and we will be sending out a response to the article to set the record straight. Sometimes, even bad press is good press. One of our most successful partnerships has been with UCT’s student run organisation, SHAWCO. Julia Norrish, their President, has become a Paperight fan and has championed our cause on campus. In addition to allowing us to include SHAWCO’s logo on our campaign website in the supporters’ bar, Julia also consented to place a splash page on Vula, the UCT online student portal, that would explicitly show SHAWCO’s support for the campaign. The splash page went up for 6 weeks from mid-February 2014. Julia also showed her support by calling out the recent inaccuracies in the Varsity newspaper article. Our Vula splash page and campaign t-shirt design both featured the ubiquitous face of Che Guevara. Far from invoking his politics or attitudes, we simply settled on an image that is easily recognisable to carry the sentiment of revolution. In the office, this was hotly debated and I will admit that we settled on Che mostly due to lack of a better alternative. However, Stellenbosch University students reacted strongly positively to the image and we had many requests for free t-shirts from the students we encountered. Overall, Rhodes has been the most receptive university to the need for a #textbookrevolution in terms of their responses and engagement with the campaign. Their Dean of Students has Tweeted about the campaign, their registrar passed on a message to lecturers informing them of the #textbookrevolution, their SRC hooked up with ABM Office National (a brand new Paperight registered outlet) to advertise on campus, and Arthur was interviewed on RMR. I believe this may be because Rhodes is more keenly aware of the difficulties students suffer due to their location in the Eastern Cape and a chronic lack of resources. Shaun Swingler joined us once again on our visits to local Western Cape varsities in order to pull together a campaign video. The resultant video is very indicative of the reactions we’ve had so far. We took the #textbookrevolution petition to UCT and Stellenbosch University to give students a tangible way of showing their support. They were asked to provide their email addresses along with details of books they have struggled to afford or find. This will help us to prioritise our discussions with textbook publishers and enable us to contact the students in future when we have their books on Paperight. We gathered more support in physical form (over 1000 signatures) than we have online (81 signatures). I believe this is due to the effect that the face-to-face promotion had on students. It is difficult to fire up enthusiasm over yet another online petition. 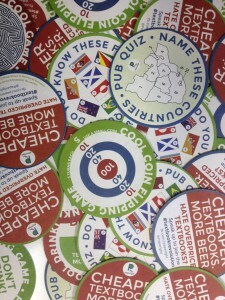 The reactions to our Paperight drinks coasters have been very positive, especially when handed directly to students on our campus days. Our tagline “Cheaper Textbooks. More Beer” caught their attention and made for great conversation starters. Their effect in local bars is far more difficult to gauge. Most bar managers and bartenders have been helpful so far as placing the coasters around the bar and replacing damaged/missing coasters. However, bars are very busy places and ultimately, our coasters are not their biggest priority so it is difficult to gather feedback about how they were received by students. Regardless, when they were originally placed, we saw students pocketing them to take home which is exactly what we wanted. If we do this again in future, I would suggest printing less and limiting their use to direct handouts to students. An unexpected, yet welcome effect of the #textbookrevolution campaign has been that the team has grown closer and our mission to increase access to all kinds of books has gathered further focus. Refer to Philippa’s article about the Blaze of Glory for context about where this campaign fits into the grand scheme of things. I would say that the future of the #textbookrevolution is positive. Although currently in hibernation, the groundwork has been set for future, interdisciplinary collaborations between publishers, universities and copy shops. This is not the end of the #textbookrevolution. Note: The Twitter debates and the Paperight Cover Art Competition 2014 have been elaborated on in their own article. In March 2014, we were approached by Kelsey Wiens of DevelopOA, and Eve Gray of the Centre for Educational Technology at UCT, about setting up a live Twitter debate to discuss issues around open access, limited textbook availability and high book prices. What we’ve referred to as a Twitter debate is also known as a ‘Twitter Town Hall‘. 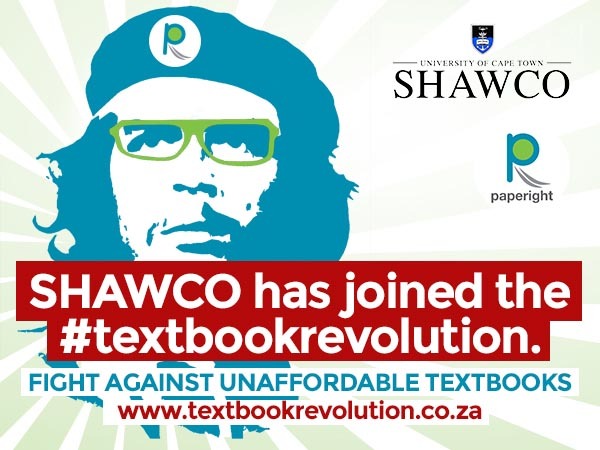 Having never been involved in something like this before, naturally we were curious and the timing was perfect for the #textbookrevolution campaign. We all agreed to use the hashtag #textbookrevolution to keep the comments and participants together. We then arranged a rough starting point, although the intention was that those who participated would be able to take the conversation in any direction they chose. In preparation, each of the hosts reached out to contacts that might be interested in taking part. We scheduled the debate for 1–2pm, hoping that this time would be easiest to work around. I focused mainly on contacting SRCs, student media contacts and university vice chancellors, and the responses we had were all positive. Our preparation paid off and our first debate led to a second, even more successful debate that resulted in our hashtag trending in South Africa. It appears we have a knack for this kind of thing! To read more about how each debate went, take a look at our blog post about them. Here are a few highlights taken from the debates. For more, click on the hashtag #textbookrevolution in the tweets below. 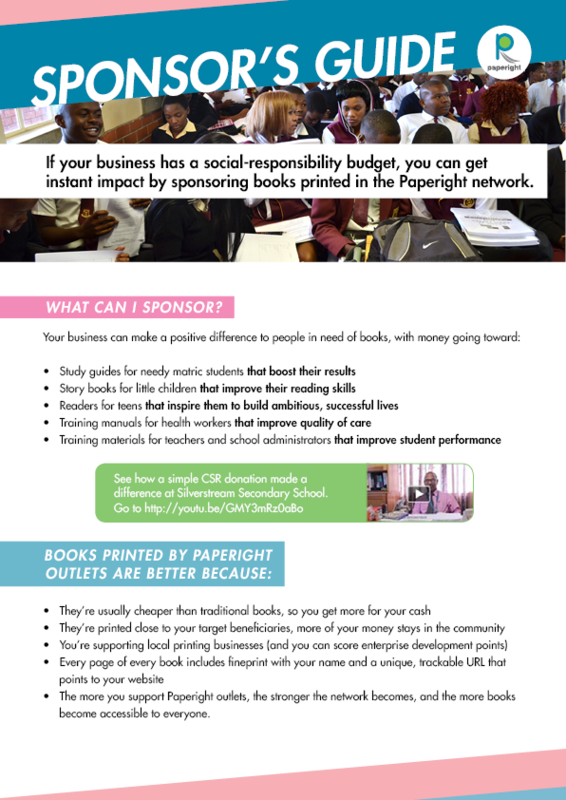 As a social enterprise, one of Paperight’s main priorities has been to get essential educational materials to students who need it. The entire business model has been structured to cut out as many obstacles as possible to make this aim simple to implement. In this vein, we chose to actively search for under-resourced schools that we could arrange book sponsorships for. We also approached profitable businesses and copy shops themselves offering a means for them to fulfill their business CSR (corporate social responsibility) objectives. Yazeed did most of the leg work pulling these projects together and Nick initiated the Kwamakutha/DES-ign sponsorship. All three sponsorships were arranged with the promise that Paperight would generate PR to match the value of the sponsor’s donation. In all three instances, we delivered on this promise. 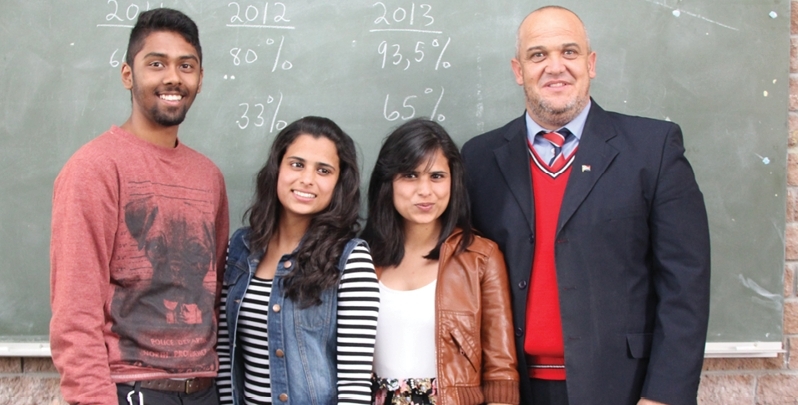 Businesses were able to offer invaluable support to 2013’s matric classes that could give the students the confidence and means to achieve access to tertiary education. In the meantime, the sponsors would achieve their CSR objectives and receive great press for their input. All three sponsorships were arranged with the promise that Paperight would generate PR to match the value of the sponsor’s donation. In all three instances, we delivered on this promise. I put together press releases about the sponsorships and sent them off to carefully chosen media contacts, specifically community newspapers. Community newspapers are particularly interested in stories like this, for obvious reasons, and are the best place for businesses to be seen helping the community around them. 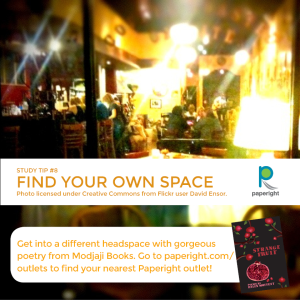 Of course, this PR has helped Paperight reach more potential customers too. So everybody wins! In addition to the three school sponsorships, Yazeed also managed to build a strong relationship with Mr Cader Tregonning of Pelikan Park High School in Pelikan Park. Together, they arranged that Pelikan Park matric students could purchase a comprehensive pack of past matric exam papers from Minuteman Press in Cape Town. The pack would cover all of their essential subjects and they would simply have to order a copy to be printed and delivered in the first term of 2013. To see more about this story, head to the Paperight blog. This official endorsement from a school has been an invaluable addition to our growing list of supporters and has helped us to show registered copy shops that it is possible to build a sustainable business relationship with local schools. Once a school starts using Paperight and sees the positive results in their pupils, the relationship will be set. To preserve evidence of our work with the schools close to home, we sent Shaun (our awesome video intern) along with Yazeed to speak to the Silverstream Secondary School and Pelikan Park High School principals. Admittedly, the rest of the team didn’t know the remarkable nature of the relationships Yazeed had built and the following videos really brought home why an idea like Paperight needs to exist in the world. For all our flaws, we have definitely done something right. The videos have been uploaded onto the Paperight YouTube channel, and linked to from the Paperight blog and Facebook page. They have also been released to media contacts as supporting evidence of what Paperight is about. In early 2014, we hoped to work with Pelikan Park again to initiate a Paperight Sponsored Brains programme. We aimed to sponsor two nominated matric students with all of their necessary materials for the year and name them as official Paperight ambassadors. They would keep us up to date on their studies and over 3 intervals (roughly May, September and a final update in January 2015) they would produce a piece of writing about how they are doing and what their concerns/interests are at that point. 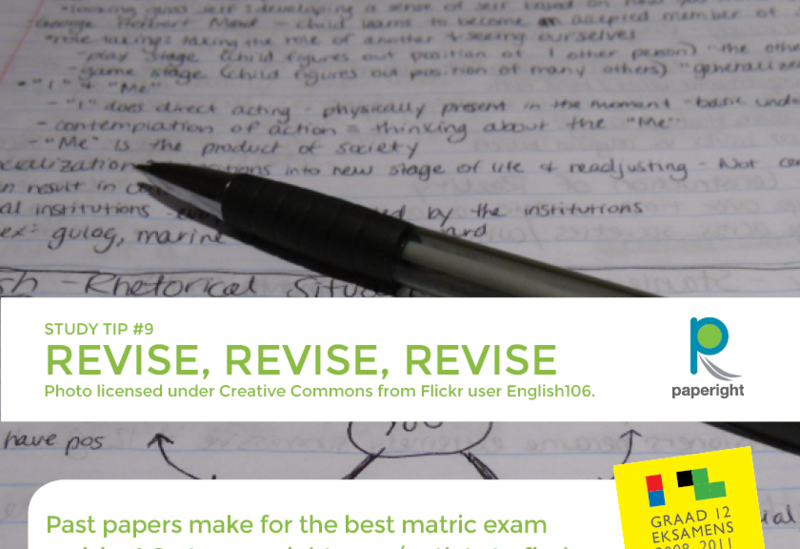 These updates would help us to generate content for news stories about what today’s matrics really need to thrive. In addition, we would also arrange 3 training sessions on subjects of the students’ choosing, for example, personal finances, applying to universities, writing a great CV, career choices etc. However, this project was abandoned due to the large volume of work required to bring the #textbookrevolution to life. three adverts in The Good Times school newspaper (Hout Bay/Llandudno, Atlantic Seaboard and Constantia). We intended to also place an advert in Free4All (the free school newspaper that is distributed nationally) with the help of a copy shop partner, but this did not come together in time. Our Facebook strategy was to fill our page with advice to matric students for their exams and links to relevant products, while targeting parents of matric students through paid advertising. This helped us to increase our page likes, yet did not lead directly to many sales, as far as we could track. Our door-to-door delivery campaign completely failed with not even a single request for the service. Our door-to-door delivery campaign completely failed with not even a single request for the service. We offered to print and bind matric past papers and drive them to customers’ homes and offices, and we advertised the papers at very affordable rates. Despite posting adverts on Gumtree and OLX, as well as posting our offer on Facebook and scheduling a paid Facebook advert targeting parents, it did not have the desired effect. The only conclusion we can come to is that the offer may have been arranged too late for most parents to take advantage of. Similarly, the offer only applied to the Western Cape (within driving distance of Claremont) and perhaps the need for the service may have been more pressing in other provinces that we couldn’t get to simply due to a lack of resources. The press release I sent out about our work with PP and SS was picked up in numerous regional newspapers and again showed our extraordinary ability to generate free press. Many outlets committed to instore advertising to drive sales of study material. 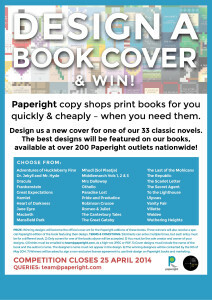 However, as with most work with copy shops, we were faced with feedback from unsatisfied customers, explaining that they were turned away by front of house employees who did not know about Paperight or did not know enough about the service to a) recognise the query as a request for a Paperight book or b) assist the customer immediately. Yet more evidence that trusting Paperight sales to another business that has control over point-of-sale is a major hurdle that needs to be addressed. Regardless, we made many successful sales too. The Good Times newspaper is a great publication to advertise with to reach parents directly. Made up entirely of news items about schools in different areas across the Western Cape, parents dip into the newsaper to find photos of, stories of and work produced by their offspring. However, the publication went to print far too late in the year (2nd December 2013) and therefore had no impact on sales. However, our paid advert was featured alongside a full page article about the work that Paperight does and I am sure that it will stick in parents’ minds during future buying cycles. Based on the results of our Adopt-a-copy-shop/Adopt-a-school project, we did not send any marketing materials (posters or flyers) directly into schools. Overall, this buying cycle was more lucrative than 2012, even though the number of study aids (past papers and study guides) was significantly less. This is perhaps because in 2012 past exam papers had no license fee. 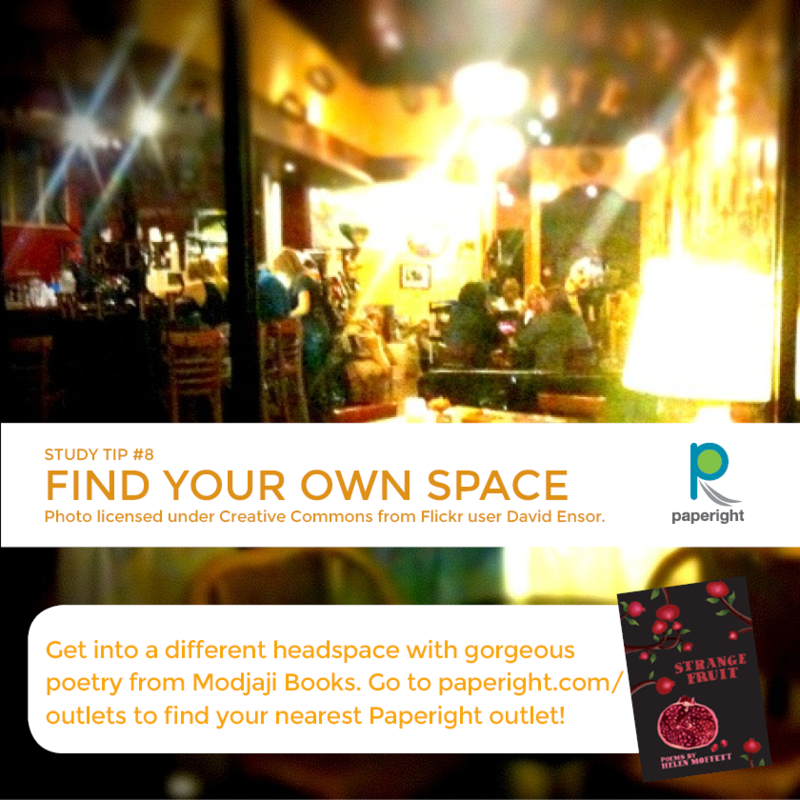 From 2013, Paperight began charging $1 (or 1 credit) per document to help inch our way towards sustainability. These titles are our most valuable content and have been essential to defining ourselves to the public. 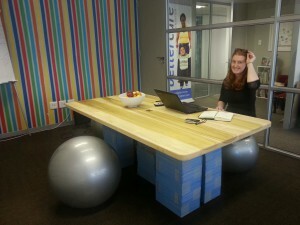 Any and all future marketing strategies that Paperight implements must build on the strong base already in place. The aim of this campaign was to initiate an ongoing, online conversation for book authors to join, debating the need for open content and increased access to book content of all kinds. This campaign was spearheaded by Tarryn as a mechanism for gathering support to assist in negotiations with publishers for book content. I drew up a Twitter conversation plan comprised of engaging quotes and statistics, as well as a list of useful, outspoken contacts to approach for input, such as Neil Gaiman, Margaret Attwood, Lauren Beukes, Cory Doctorow and Chuck Wendig – as suggested by Tarryn. Unfortunately, this campaign was shelved due to a change in tack at Paperight HQ to focus solely on the varsity campaign, which became known as the #textbookrevolution campaign, during the crucial buying cycle at the beginning of 2014 (roughly end of January to the beginning of March). This plan may be resurrected in the months to come. On the 27th of June 2013, Yazeed, Nick, Arthur and I headed to Woodstock for an insightful marketing and communications workshop with members of the Zoom Advertising team. I should point out that I hadn’t been promoted at this point. That was still to come, after a week long holiday to the extraordinary Grahamstown Festival. After seeing a Paperight-related tweet, Zoom had contacted Arthur to offer a free 3–4 hour session to discuss Paperight’s brand image, target markets, past marketing endeavours and to suggest future marketing strategies. This all based purely on their interest and delight in the Paperight project. The discussion was spearheaded by Rebecca Warne and attended by other senior staff, including Managing Director, Steve Massey. As the biscuits were eaten and the tea/coffee making facilities kept well oiled, we shared our ideas about how to make the best of Paperight’s established reputation. A lot of what was suggested was way beyond our meagre means for the foreseeable future, however they were useful points to bring up as long term aims. If we want to be able to reach a certain level of sophistication and complexity in marketing strategies, we have to preemptively build up provisions while also testing various strategies on micro levels. After the workshop, we came back to Paperight HQ with lots of great ideas buzzing around and enormous enthusiasm. Rebecca then sent us a Powerpoint presentation with the distilled discussion points for us to refer to. This certainly informed my decisions when writing up the official Paperight 2013–2014 marketing plan. 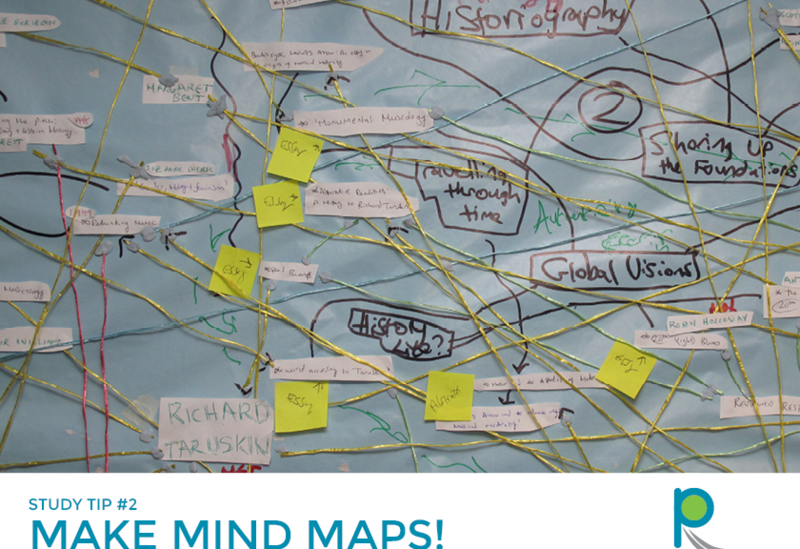 A lot of what became known as the #textbookrevolution was inspired by this great session. Around the same time, Rachelle van der Merwe of the 2014 MBA program at Stellenbosch University contacted Arthur requesting to use Paperight as the sample company for the students’ end of year project. The team of students would have to produce a marketing plan for Paperight, based on interviews with Paperight team members, document analysis, sales analysis and independent market research. Over the course of two to three months, we met with Rachelle numerous times and corresponded with the rest of the team by email to accommodate their requests for advice and further information about current systems in place. We were happy to oblige and for the most part did not feel that their investigation got in our way. We obviously had control over what we would share with them, but as a company with an open policy, they had access to everything they needed – all they had to do was ask for it. The finished product, given to us in mid October 2013, ended up being far different to what I had been working on as the official marketing plan. My plan was based on what actions, formed into sustained campaigns, would form the base of our efforts. These actions were swayed by marketing actions attempted before I joined the team, established target markets and available finances. Their marketing plan had no such thing, but instead offered a very nuanced and brutally honest view of Paperight as it stands. A detailed analysis of the current textbook distribution channels and major players, as well as a razor sharp analysis of the Paperight business model, led into a projection of where our future sales need to come from in order to achieve sustainability. Their project brought together all that we thought we knew into one document and certainly bolstered our conviction that Paperight is the best solution to tackle educational resource shortages. At least, the best so far. Both these influences were particularly well timed (thank you, universe) and helped us all to align our strategies around marketing. The base concern at this point became about turning exposure into sales. The Shuttleworth Foundation will not be funding the project forever, after all. This shift continues to inform all of our decisions. My first task as Marketing Manager was to draw up a 2013–2014 marketing plan. This plan was to be split into various campaigns that would coincide with the various book buying cycles throughout the year. Having never put together a long term marketing plan before, finding the correct format to house this information was the first task. Initially, I worked with a spreadsheet format that could be sorted by various column titles, such as month, year, campaign, team member, action etc. This worked for a while before the spreadsheet needed to be shared with the team. Then I chose to keep the spreadsheet for my own use and produce quarterly/campaign specific summary documents of what would need to be done (by when) and by whom. These worked far better because they avoided confusion and made great points of reference for weekly meetings. Initially, I set out to schedule a 12 month plan, but the tricky, unpredictable nature of a start up made this almost impossible. The Paperight official marketing plan was scheduled to run from about August 2013 to March 2014 (8 months). Initially, I set out to schedule a 12 month plan, but the tricky, unpredictable nature of a start up made this almost impossible. Imagine changing the habits of a nation of individuals who have inherited a very distinct set of habits from their parents, and imagine trying to do this with minimal resources? Well, that has been Paperight’s mountain to climb. At any point we would have to respond to changes in the market and problems that we would identify in our own strategies simply due to the untested nature of the business model. Overall, the Paperight marketing plan has been an indispensable tool to help along Paperight’s growing reputation and fan base. It has allowed us to focus our efforts to ensure we make the most from newsworthy events, partnerships and awards, as well as turn our good PR into sales. With focusing our efforts, it became clearer what ideas and actions were essential to the success of the campaigns and our team work became more streamlined. The cumulative effect of the last year’s work can be seen clearly now (March 2014) as sales are flowing in organically, even from the most unlikely places. 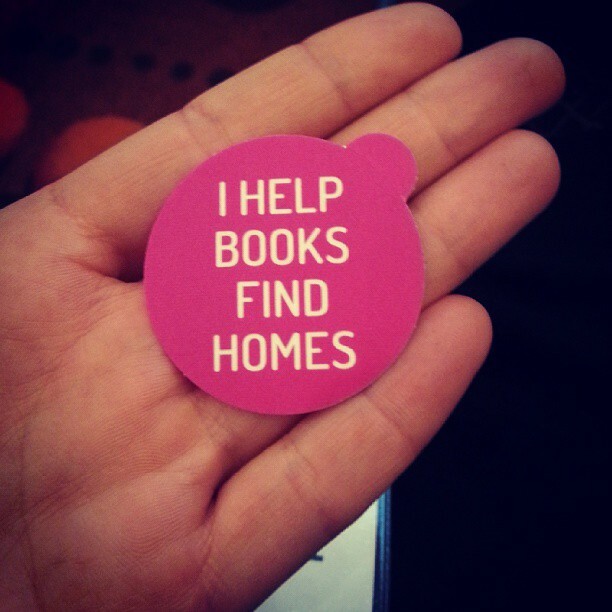 *For more on the Reading Clubs project, read Oscar’s post. At this stage, I was promoted to the position of Marketing Manager – both a great opportunity and a fabulous pay increase! 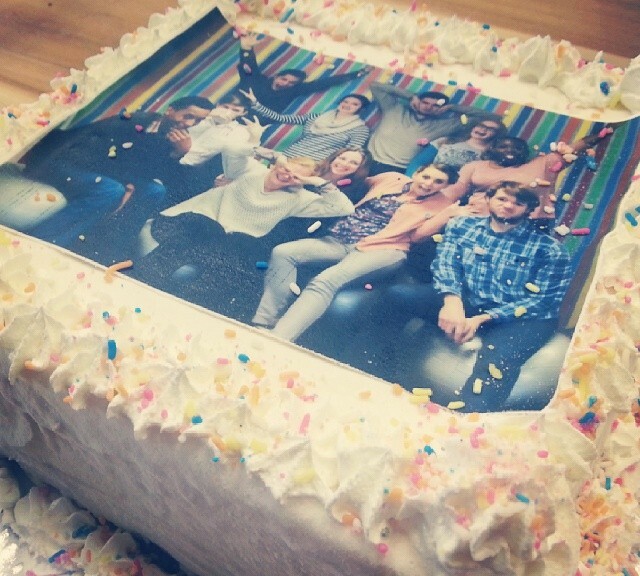 This enormous step up was incredibly daunting, but the Team’s support made it so much easier. The fact that Arthur offered the position to me in the first place and believed I would be equal to the task, forced me to believe that too. The ensuing months have been a whirlwind of crazy fast thinking and very detailed planning, but altogether, I have enjoyed the challenge immensely.